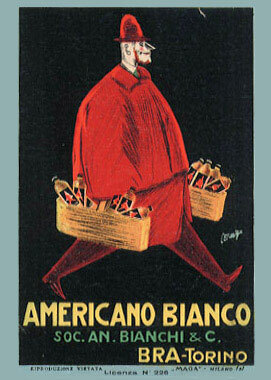 The Giacomo Ascheri Cellars originated in La Morra: in that area, where a place called “Ascheri” still exists, in the early 19th century the first vines were planted and the first wines produced. The Matteo Cav. 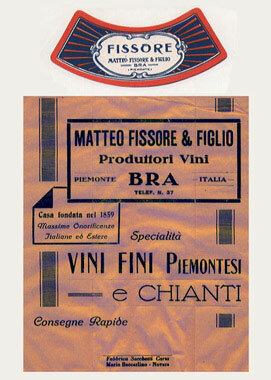 Fissore & Son Winery, founded in 1859 and located at 66, Via Vittorio Emanuele II, soon became an important and prestigious Barolo label. The winery used to buy grapes from the best vineyards in the Langhe and used to produce the classic “Piedmontese” reds, but in its list there were also Gavi, Brachetto and Vermuth together with “Barolino Chinato” and “Gran Vino Barolo””. The winery closed down after three generations and today its building is an ordinary condominium. 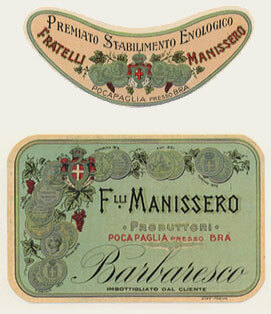 Also Manissero, a 19th century important grape dealer, stopped his activity in the 20’s. The original beautiful building with garden is now a private house. 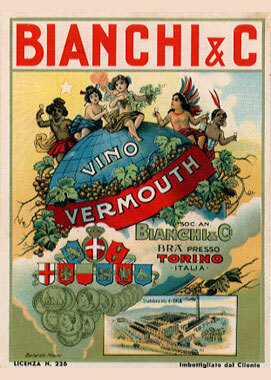 The great wine-making tradition in Bra was continued only by the Giacomo Ascheri Winery, the only producer now left with a list including the best Piedmontese wines. 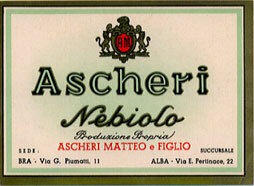 The Ascheri Family has ancient origins: a “Ascherius” is mentioned in the 1196 “Rigestum” of the Town of Alba. 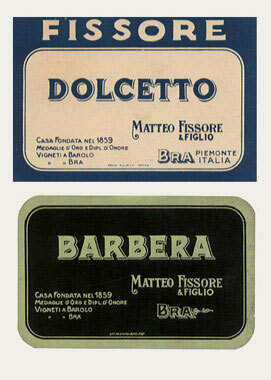 In the 19th century the family lived in La Morra and in 1880 Giacomo Ascheri moved to 19, Via Piumati, in Bra, where he started producing Barolo. In 1960 the cellars were enlarged, redeveloped and moved to a nearby place. In 1994 some of the old cellars were cleverly reutilised by the Ascheri Family who opened the l’Osteria Muri vecchi, an ideal meeting place where traditional cuisine and local wines can be truly enjoyed and turned into cultural, social and convivial experiences. 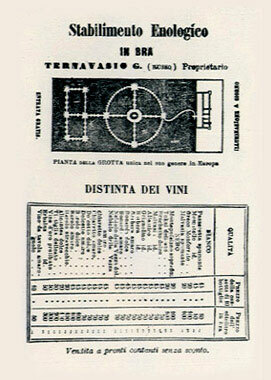 In Bra the “Del Russi” cellars, or better the Giovanni Battista Ternavasio, are still there. Ternavasio , a Napoleonic Army general who had received a medal for the Russian Campaign, returned to Bra where in 1820 he founded the Ternavasio Winery. He bought a building from a religious order and turned it into a cellar which remained open until 1917. Nowadays it is a condominium. However, he is still famous for the so-called “grotta del Russi”, an imposing series of tunnels under the cellars made for promotional purposes.I was able to visit a part of the cave thanks to the kindness of Matteo Ascheri – a local wine-maker. 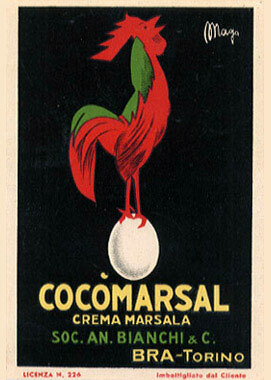 It was certainly one of the most beautiful achievements in the oenological field. Following a French model -tunnels in the Champagne area– and based on the design of architect Onofrio from Turin, the cave was made up of a 20 metre-wide circular hall with 16 beautiful columns . Four 6-metre-high tunnels radiated from here and ended up in 8-metre-wide round caves connected by external circular tunnels. The cave could contain about 400,000 bottles in holes made in the walls. Candelabra and lights lit up the whole cave which was turned into an exceptional exhibition space, a really unusual one for the times. Among the most important visitors: tzar Nicholas II, King Vittorio Emanuele III. After 1917, with the closing down of the Ternavasio Winery, the cave fell into disuse, then it became a partisans’ shelter during World War II, a salt storehouse after the war and suffered extensive damage in 1972 due to work done to nearby buildings. After years of complete neglect, the cave is now about to collapse and ,therefore, for safety reasons, closed to the public. 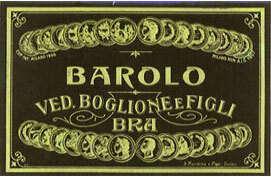 However, a great ” Son et Lumière ” show against a background of 400,000 bottles of Barolo welcomed the Italian Royal Family and the Tzar: it was the year 1904.